Nigeria’s President Goodluck Jonathan has congratulated former President, Alhaji Shehu Shagari on his 88th birthday, today, February 25. The President hails and recalls Alhaji Shagari’s leadership during Nigeria’s Second Republic and his contributions to the growth and entrenchment of democracy in the country. In a press statement by Pres. Goodluck’s Special Adviser, he expressed appreciation to the former President for remaining steadfast in supporting the efforts of all governments to improve the lives of all Nigerians. 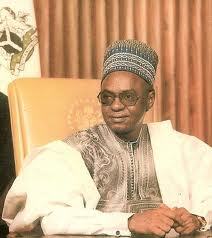 He also wished Alhaji Shehu Shagari good health and more years of service to Nigeria and humanity.